This book breaks new ground in understanding urban indigeneity in policy and planning practice. It is the first comprehensive and comparative study that foregrounds the complex interplay of multiple organisations involved in translating indigenous rights to the city in Latin America, focussing on the cities of La Paz and Quito. 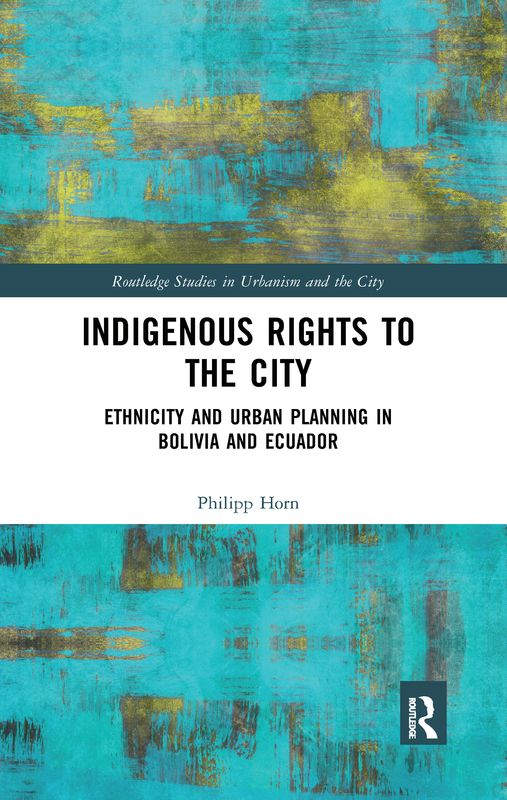 The book establishes how planning for urban indigeneity looks in practice, even in seemingly progressive settings, such as Bolivia and Ecuador, where indigenous rights to the city are recognised within constitutions. It demonstrates that the translation of indigenous rights to the city is a process involving different actor groups operating within state institutions and indigenous communities, which often hold conflicting interests and needs. The book also establishes a set of theoretical, methodological, and practical foundations for envisaging how urban indigenous planning in Latin America and elsewhere should be understood, studied, and undertaken: As a process which embraces conflict and challenges power relations within indigenous communities and between these communities and the state. This book will appeal to practitioners, researchers, and students working within the fields of urban planning, urban development, and indigenous rights.